How Much Compensation Can I Claim For Carbon Monoxide Poisoning? If you or a loved one has been injured due to carbon monoxide poisoning, it is likely that you will be able to launch a claim for a compensation payout, so long as you can show that someone else was to blame for the incident. You can also make a claim if a loved one has passed away due to carbon monoxide poisoning. Carbon monoxide is often referred to as the ‘silent killer’ because it is an extremely dangerous gas, which can have fatal consequences when it is breathed in. Every year, hundreds of people are poisoned due to carbon monoxide. Claims can include cases of mild exposure, to severe instances such as carbon monoxide poisoning in a car or home that results in permanent damage and even death. No matter the ins and outs or severity of your case, whether you suffer carbon monoxide symptoms in a house, or commercial building, you are sure to require a highly experienced legal company that can give you the expert help required launch a claim and secure the compensation you deserve. Our team of experienced solicitors have many years’ worth of experience in the industry, and we have helped many people to secure compensation for a wide range of cases, including carbon monoxide. We use this to ensure that you get the maximum payout possible. After all, why should you have to suffer financial loss on top of the physical and emotional suffering you are already experiencing? We can make sure all costs are covered so that you can focus on getting better. A Guide to Claiming Compensation for Carbon Monoxide Poisoning. Carbon monoxide poisoning – what is it? How do you feel when you have carbon monoxide poisoning? Carbon monoxide poisoning at home. Carbon monoxide poisoning at work. Can you sue for carbon monoxide poisoning? Carbon monoxide leaks in rented house compensation claim. Death due to carbon monoxide poisoning compensation claims. Carbon monoxide poisoning due to a faulty boiler. No Win No Fee carbon monoxide claims. How much can I claim for carbon monoxide poisoning? What can I claim for in a carbon monoxide poisoning case? How to start a carbon monoxide poisoning claim. Why choose us as your claims service for a carbon monoxide claim. We can help you every step of the way when pursuing a carbon monoxide poisoning claim. We provide a complimentary, no obligation legal consult for all of our clients, enabling you to get the most accurate advice regarding how to move a carbon monoxide claim forward and what you need to do to make a claim. We understand all too well that carbon monoxide poisoning can be traumatic, especially when it has resulted in long-term injuries or the death of someone you care about. You may have questions about carbon monoxide poisoning like how long does it take to die, what is the carbon monoxide structure and how does it cause death, and many other queries. We also know that the last thing you want to be doing is dealing with the legalities of a case whilst grieving, which is why we have made making a claim as efficient and simple as possible. We want you to focus on your recovery, so you can ensure our service won’t be intrusive. We judge every case on its merit, and in 99 per cent of cases, our consultation, which is entirely free, ends with us taking on your case as a No Win No Fee case. No Win No Fee means you are only going to need to pay legal fees if your case is a success, thus offering you a degree of legal protection. One thing we cannot do is tell you exactly how much compensation you will receive. Every case is unique, and so it would be unfair for us, or any legal firm, to give you an estimate that may prove to be completely unfounded. Carbon monoxide poisoning occurs when you breathe in the poisonous gas, which has no taste or smell, which is why it is often referred to as the silent killer. If you are exposed to high levels of carbon monoxide, it can be fatal. Once carbon monoxide has been breathed in, it enters your bloodstream, and it mixes with haemoglobin. This is the part of your red bloods cells that are responsible for carting oxygen around the body. When the carbon monoxide mixes with haemoglobin, carboxyhaemoglobin is formed. The formation of carboxyhaemoglobin means that the blood can no longer carry oxygen. The body’s tissue and cells will start to fail and die due to the lack of oxygen. Carbon monoxide poisoning long term effects range from chest pain to heart problems. To make matters worse, a lot of people don’t realise when they have carbon monoxide poisoning, especially if they have only been exposed to a small amount. Most people say that carbon monoxide poisoning feels very much like you have the flu. A tension-type headache is the most common symptom, and a lot of people mistakenly believe they have the flu or food poisoning if they have been poisoned. However, one distinctive difference to notice is that, unlike the flu, carbon monoxide poisoning does not cause a high temperature. Most carbon monoxide poisoning legal cases involve incidents in the household whereby appliances do not burn fully as they should. Common appliances responsible include water heaters, cookers, open fires, central heating systems, gas fires, and boilers. These appliances must be installed and maintained regularly by certified professionals to ensure the risk of carbon monoxide being released is reduced. There are also some instances whereby carbon monoxide poisoning occurs in the workplace due to employer negligence. Carbon monoxide poisoning due to an accident at work can be very common in the UK. Did you suffer carbon monoxide poisoning at home? The manufacturer of the appliance that is emitting carbon monoxide gases – if the appliance was faulty. The company that manufactured or installed the carbon monoxide detector – if it did not work effectively. The private landlord, housing association, or council you rent your home from – if they do not ensure the safety of your property. The company or person that carried out the safety inspection of your appliances – if they did not realise that the appliance was faulty. The company or the person that installed the appliance – if they did not install if correctly. Did you suffer carbon monoxide poisoning at work? Your employer has a responsibility to ensure you are kept safe at work. This is a legal responsibility. They must make sure that employees are not exposed to dangerous amounts of carbon monoxide. Therefore, if you have been poisoned while at work, you may be able to make a compensation claim for employer negligence. Yes, you can sure for carbon monoxide poisoning. 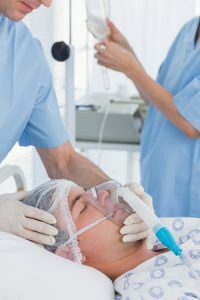 Those with injuries often seek carbon monoxide poisoning lawsuit settlements under the legal theories of strict liability for a defective product, strict liability for failure to warn, and negligence. What happens if you have fallen ill because of a carbon monoxide leak in a rented house? If you have suffered from carbon monoxide poisoning due to gas leaks in rental accommodation, it is likely that you will be able to launch a personal injury claim due to the landlord’s negligence. As part of their legal obligation, all landlords need to provide an up-to-date gas safety certificate. They must ensure that this certificate is renewed on a yearly basis. If your landlord does not have a gas safety certificate, they are actually breaking the law, which means you have grounds for prosecution and a civil law suit. 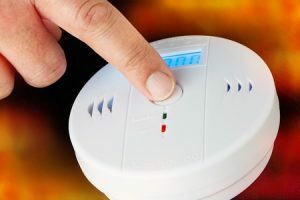 Your landlord also needs to fit a carbon monoxide alarm in any room that is used wholly or partly as living accommodation, which also has any appliance that burns, or is capable of burning, solid fuel. This does not include oil or gas boilers, but it does include open fires, as well as coral and log burning stoves. These alarms need to be checked on the day a new tenancy begins. If your landlord has not complied with the above, you will be able to launch a compensation claim. If you live in rental accommodation that has been provided by the council or a housing association, the same rules apply. If the council or any other governmental department has acted negligently, and you have suffered carbon monoxide poisoning as a result, you will be able to claim for a compensation payout. Unfortunately, not everyone survives from carbon monoxide poisoning. If someone you love has died due to carbon monoxide, you will be able to make a fatal accident claim on his or her behalf. A fatal accident is a death that has been caused by a third party, which is not the fault of the person who is now deceased. You will be able to sue on the behalf of the deceased if you are a dependant of the deceased, a family member of the deceased, or the estate of the deceased. What can you claim for in a fatal accident or wrongful death case? Damages (General)– This includes items such as the suffering and pain caused by the passing away of the deceased, as well as loss of family income. Expenses (Medical) – This covers the medical costs that were incurred by the person who has passed prior to them passing away. It also includes the medical costs the family members have incurred due to conditions that were caused by their loved one passing away. Punitive damages – This covers the additional damages for carbon monoxide poisoning that are levied against the party that is responsible for the wrongful death or fatal accident as a form of punishment. Bereavement award – This compensates families for their suffering and pain. Funeral expenses – You will receive a payout to cover the monetary cost of cremating or burying the deceased. According to statistics published by the Department of Health, 4,000 people are sent to A&E each year for carbon monoxide poisoning. It also leads to 200 people being hospitalised and 50 deaths per year. To make matters worse, in the vast majority of cases, these tragedies could have been avoided. Old or poorly maintained gas boilers can release carbon monoxide gas. This is why it is so important that a professional Gas Safe engineer visits your home on a yearly basis to ensure your boiler is safe. If you fail to get an old boiler checked, you may not be able to make a claim if get poisoned. However, the boiler is damaged or faulty, and you take ill because of a carbon monoxide leak, you may be able to claim against the manufacturer of the boiler. You could also claim against the Gas Safe engineer or the company he or she works for if they have marked a boiler as safe when it isn’t. The best option for anyone that wants to purse a carbon monoxide claim is to go down the No Win No Fee route. This is a type of arrangement we offer. It ensures that finding money to pay for legal expenses is not something you need to worry about. Under this type of agreement, if for some reason we are not able to secure compensation for you, you won’t need to pay a thing. If we do secure carbon monoxide poisoning compensation for you, our fee will be deducted from the payout. This means that you don’t need to fret about our legal fees, as everything is taken care of for you. This type of agreement is often referred to as a Conditional Fee Agreement (CFA). It eliminates the monetary risk that is typically associated with making a personal injury claim. This type of legal agreement was set up to help those that did not have the money to pursue a carbon monoxide case or gain access to the expert legal assistance they required. Legal costs are controlled tightly, and at the time of writing, they are capped at 25 per cent of the total amount of compensation that is awarded. Death (unconsciousness following a brief period of awareness) £8,000 - £10,650 Lung damage and/or severe burns that cause serious pain, followed by unconsciousness after three hours, and then death within two weeks. Death (unconscious death within six weeks) £6,400 Unconscious following injury, death within six weeks of injury. Death (unconscious death within one week) £1,050 - £2,125 Unconscious following injury, death within one week of injury. Death (full awareness) £15,950 - £18,100 Severe burns and lung damage followed by full awareness for a short period and then fluctuating levels of consciousness for between four and five weeks, coupled with intrusive treatment. Mental Anguish £3,550 - £3,910 Fear of impending death/reduction in expectation of life. Moderately Severe Brain Injury £166,500 - £214,350 The injured person will be very seriously disabled. There will be substantial dependence on others and a need for constant professional and other care. Less Severe Brain Damage £11,650 - £32,700 In these cases the injured person will have made a good recovery and will be able to take part in normal social life and to return to work. There may not have been a restoration of all normal functions so there may still be persisting problems. Minor Brain or Head Injury £1,675 - £9,700 In these cases brain damage, if any, will have been minimal. Funeral Costs £3,000 - £10,000 Possibly more than £10,000 in some cases. Punitive Damages £1,000 - £275,000 Payout depends on the complexity of the case. Pain and Suffering £1,000 - £200,000 The level of pain and suffering experienced determines the payout. Loss of Benefits £5,000 - £500,000 Calculated based on actual income lost. Possibly higher maximum payout in some cases. Loss of Anticipated Earnings £10,000 - £400,000 Based on calculation of current pay grade and future prospects. Loss of Care, Protection and Companionship for Family Members £2,000 - £100,000 Payout driven by level of loss encountered and the number of family members. Chest Injuries Up to £76,500 Ranging from soft tissue injuries or fractures of ribs to the worst types of cases, i.e. the removal of one lung or serious heart damage. When making a carbon monoxide poisoning claim, the amount of compensation you receive will differ from case-to-case. Compensation can be split into two key categories: general damages and special damages. The general damages you receive will cover the pain and suffering caused by the injuries or the loss of a loved one. Special damages are designed to cover any costs you have been subject to as a direct result of the injury. This could be medical expenses, the cost of childcare, loss of income, counselling costs, travel expenses, or the cost of adapting your home. If you are claiming for a fatal carbon monoxide poisoning claim, you could also claim punitive damages. This covers additional damages that are levied against the party that is responsible for the death of the individual as a form of punishment. If you want to make a carbon monoxide poisoning claim, all you need to do is give us a call and we will take care of everything for you. We will listen to your case, and we will advise you on the steps to take. There is nothing to worry about. One thing that is important to note is that there is a three-year time limit on all personal injury cases. This means that your accident must have occurred within the past three years. There are exceptions, however. If you cannot pinpoint when you suffered carbon monoxide poisoning exactly, because it occurred over time, you will have three days from the date of your diagnosis. Our aim is to ensure that all of our clients get access to the legal representation and advice they require, irrespective of their financial status. We are proud to run a business that is customer focused. Our clients are always at the forefront of what we do. When you contact us, we will let you tell us everything about the incident, and we will ask all of the questions required so that we can provide you with the best advice. We recognise that no two carbon monoxide poisoning claims are the same, and we handle them as such. We ensure every angle is covered so that maximum payouts are achieved. It is always our goal to achieve the highest payout for our clients. Plus, with our No Win No Fee approach, all claimants can have financial peace of mind throughout. Do you need advice on carbon monoxide poisoning claims? Have you suffered due to carbon monoxide poisoning? Perhaps you have lost a family member due to the poisoning? No matter what applies, if you believe you have grounds for pursuing a carbon monoxide poisoning claim, we are here to help you. We have an abundance of experience in carbon monoxide court cases and can put your mind at ease. All you need to do is give us a call on 0800 073 8804, and we will deal with your inquiry in an efficient and straightforward manner, ensuring as little mental and emotional anguish is caused as possible during this difficult time. NHS Carbon monoxide symptoms, treatment and complications. This Carbon Monoxide NHS link explains about carbon minoxide monoxide and poisonous gas that has no smell or taste and very dangerous. Smoke and carbon monoxide alarm guide for landlords. This government web page provides information on smoke and Carbon Monoxide Alarm (England) Regulations explanatory booklet for landlords. Frequently asked questions about carbon monoxide. This HSE government link has information on gas safety and carbon monoxide awareness frequently asked questions.